While Michael Myers clearly hasn’t lost his zeal for murder in these past forty years, the decades are certainly showing on his iconic mask, with the FX team for the new Halloween making an effort to show the beating that this William Shatner face mold has taken over time. This is indeed shaping up to be one fine week for freshly released images of the silent killer, with one international poster for the upcoming sequel showing Michael posed in the infamous “head-tilt” that he first displayed back in 1978. Moreover, an intense new still features a babysitter screaming for her life while her masked assailant looms in the background. Meanwhile, on the less psychotic end of the cast, star Laurie Strode has also featured in two recently released clips, one of which sees her granddaughter urging her to move on from her traumatic past, and the other of which features a documentary crew inviting her to revisit her old assailant. We’re in for a stressful reunion between Laurie and Michael when Halloween hits theaters on October 19th, but box office projections suggest that a lot of filmgoers are keen to see how it all unfolds. 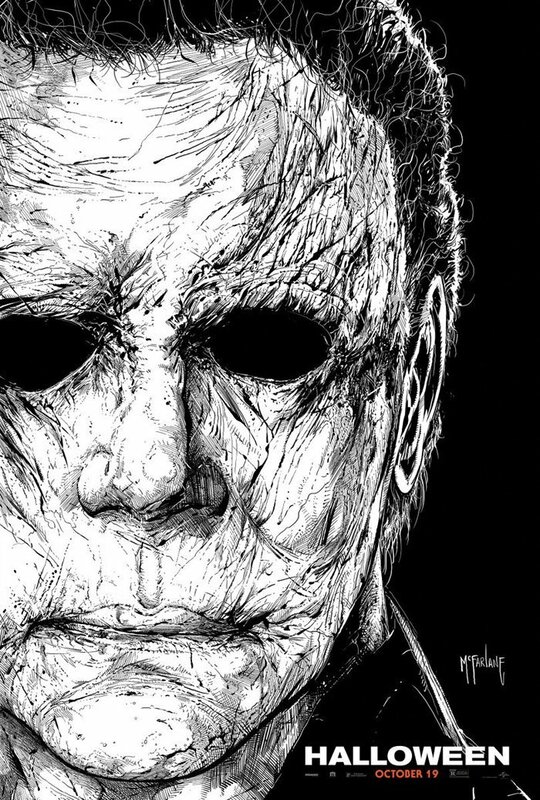 Should David Gordon Green’s pic perform as well as we’re expecting, it seems all but inevitable that Michael’s well-worn mask will endure for at least one more sequel.